I've just recently discovered the gorgeous work of interior designer Alison Davin of Jute Home. I love how her designs are simple and clean, but at the same time feel interesting. 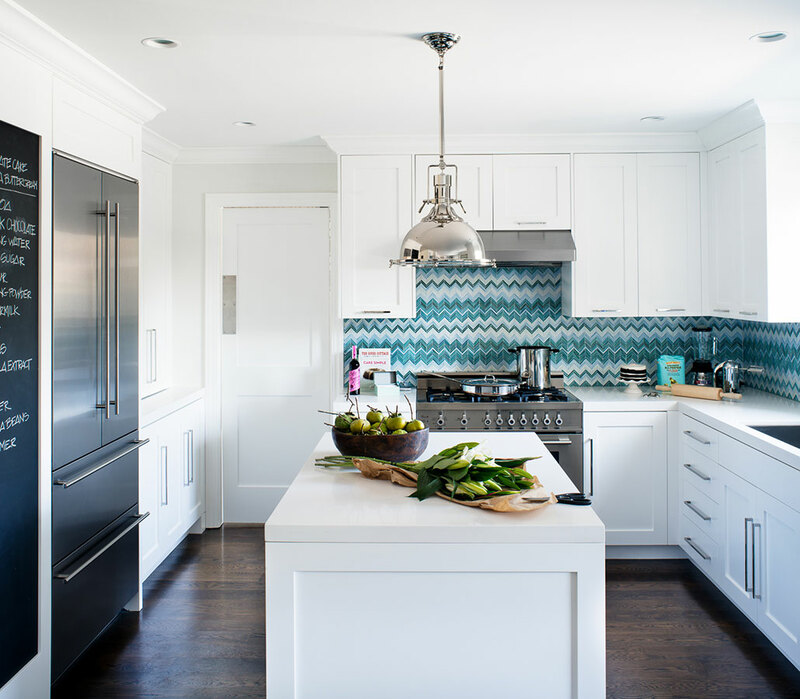 This blue chevron backsplash works perfectly in an otherwise all white kitchen. What's not to like about this bathroom? 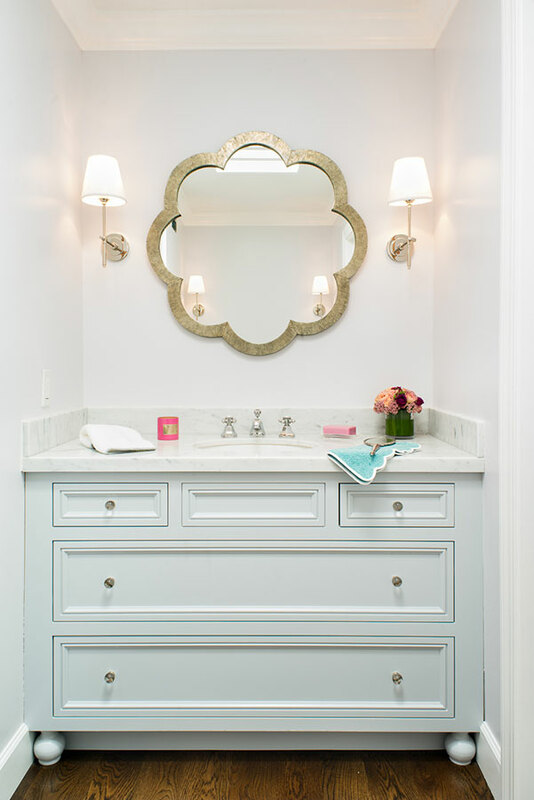 Those sconces, the gold mirror, marble countertop, and a vanity in the lightest shade of blue. Meow. I love all of the different mixes of patterns and textures in this room. This mix is the perfect example as to why you should never buy all of your furniture and/or accessories at the same time.